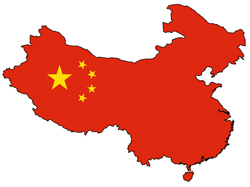 China has just jumped into Digital Radio Mondiale shortwave broadcasting but with some DRM infrastructure that has been in place for over a decade, which up until recently, had only been sporadically tested. The initial broadcasts started in early 2018 from Beijing. Services continued to rollout over the year via various transmitter sites, often on the country’s periphery. A DRM shortwave transmitter in Beijing targets north China almost 24 hours a day. A second Beijing transmitter targets east China for eight hours a day. Another transmitter in Ürümqi in the country’s west targets central and east China for 14 hours a day, while a transmitter in Qiqihar, Heilongjiang province (the Manchurian plain), is on more than 11 hours a day and reaches south and southwest China. Dongfang on Hainan Island province is on eight hours a day on two frequencies for both north and southeast China. Finally, the DRM shortwave transmitter located in Kunming in the Yunnan province is on eight hours daily for south China.There is now a DRM network providing nationwide coverage.